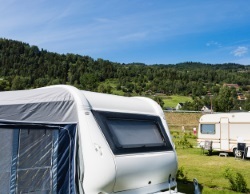 If your caravan has broken down at home or on a caravan site, PGF Caravan Services are there to help you. We offer a professional, friendly and reliable service to keep your caravan safe and up to a high standard. Providing a service in Cirencester and the wider area, our team are on hand to carry out repairs, servicing, and emergency breakdown if needed. Our mobile service means we can come to you, giving you less to worry about. With competitive prices and a high-quality service, you can be sure to have your caravanning needs met. As dedicated members of the Mobile Caravan Engineers Association, you can rest assured that any work carried out will be professional and comprehensive. For more on our caravan and breakdown services, please call us today on 01452 553 288 or fill in our online contact form. We offer a mobile breakdown service for customers whose caravan has broken down either at home or in a caravan park. With our team you can rest assured that we will find any of your caravan’s faults quickly and fix them professionally. There are no restrictions on the width or length of a caravan that we can repair or service. If you have broken down or realise that you need sudden repairs, do not hesitate to get in touch. Ensuring that you have the right caravan for your needs is important to make sure that you get the most out of it. With many different shapes and sizes on the market, it can help to understand the differences between these. Caravans come in different berths, offering a range of sleeping spaces for those within them. When advertised the caravan will typically have a note saying what berth it is, with these ranging from 2 to 6. The larger the berth, the larger the caravan will be. A caravan is also intended to be a usable living space, so considering this is important. Different caravans have different layouts, and if it has 4 or 6 berths then there will typically be less living space. Larger caravans will often be referred to as twin axle as they require more support. These two axles run across the centre of the caravan and they have two wheels on either side. A twin axle improves the strength of the chassis, allowing the additional size to be supported. These axles are great for more stability whilst towing on the motorway. If you are after a light caravan, a fibreglass or GRP caravan is a good choice to make. Usually smaller and cheaper, these caravans are made from plastic making them more durable than other caravans. One major downside however is that they are often very basic on the interior and exterior. If size is a concern for you, then teardrop and T@B caravans are a great option. These are aesthetically pleasing and have enough space for 2 people. Although as they are compact, they do not offer a lot of space for living. A folding caravan can be another option for those short on space. This caravan can be folded down to reduce towing size and give you less to worry about when on the move. The con of these is that they need to be unfolded and set up every time you arrive and depart a site. Having a motor mover can make all the difference when it comes to parking your mobile caravan. Arguably the most effective and popular motor mover is the axle-mounted, which is made up of a frame bolted to the caravan chassis with a 12 V electric motor and roller assembly at each end. Some other motor movers work from the hitch of the caravan, aiding movement from the front. Motor movers can work on most surfaces, including gravel, mud, grass, uneven ground, and sloping pitches. The main benefit of a motor mover is that it can save you time when parking in a pitch. Helping you to guide the caravan onto a pitch, these is nothing to worry about. There is no need for any embarrassments and it reduces the need for help from people around you. They also help to prevent extensive clutch wear on your vehicle by taking some of the pressure off your car. Moving a caravan uphill is not a struggle with a motor mover, reducing stress and saving you time. We are able to supply and fit a range of motor movers on caravans to keep your caravans easy to move. When it comes to a caravan breaking down, you never want to be left in a tricky situation. PGF Caravan Services offer a wide range of services and repairs specifically for caravans, and with our mobile service we can come to you wherever you are. For more information about us, call 01452 553 288 today or fill in our online contact form.